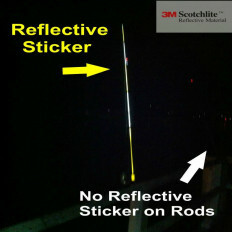 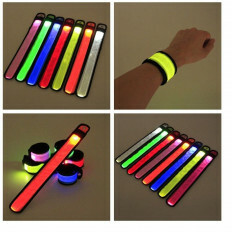 Excellent night time reflectivity and visibility; this reflective tape can be seen up to from long distances (class 2). 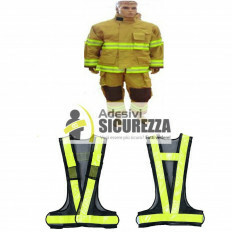 Minimum buyable quantity in 2 pieces (2 metres), additional units will be sold all attached. 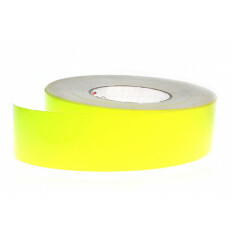 Colour: fluorescent yellow lime (high visibilty also in daylight). 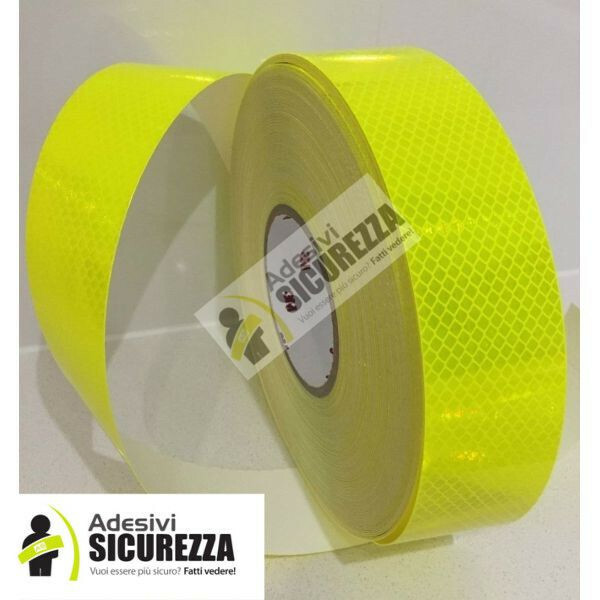 Fluorescent reflective tape usable on lorries, trucks, vans, cars, caravans and motorhomes etc. 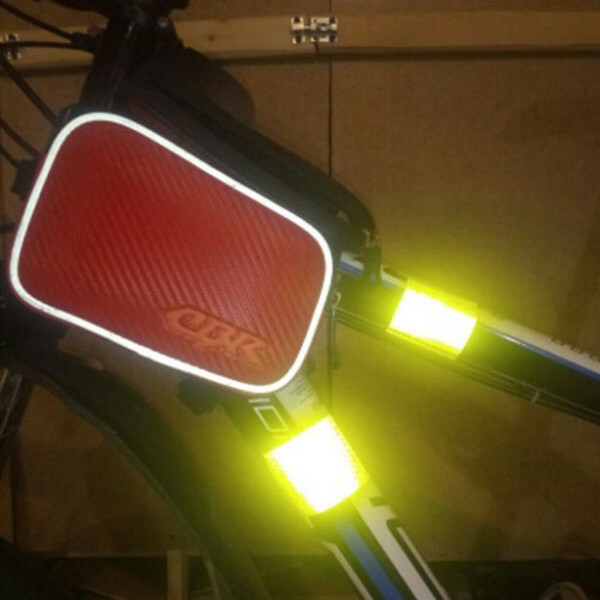 It could also be used on motor bikes, cycles, invalid cars and even wheelchairs; basically in any rigid areas. 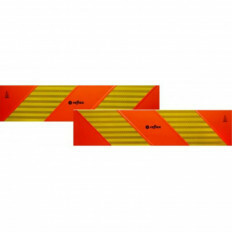 Ideal for marking the rear vehicles as well as the sides, important when pulling out onto a road etc. 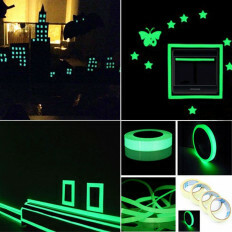 This adhesive tape is reflective and fluorescent with a high photometric yield in medium and long distances, ensuring a high visibility at night. 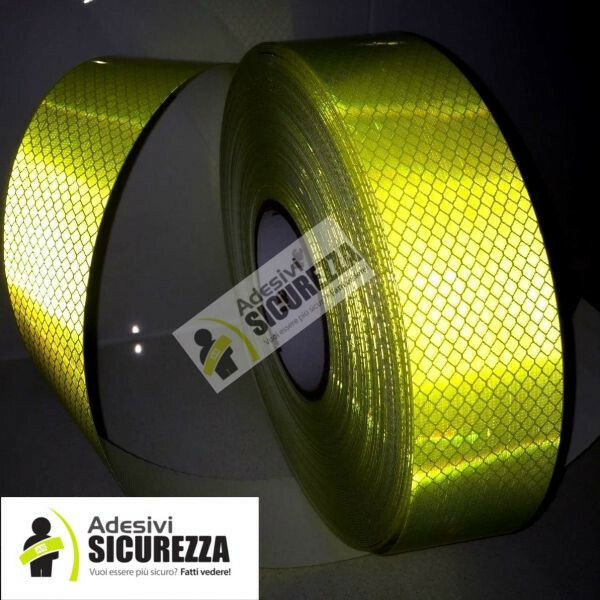 It is precisely for this reason that it can be applied to the lateral and rear perimeters of the vehicles in order to highlight their visibility and sizes, but also to the external objects that need to be seen in poor visibility. 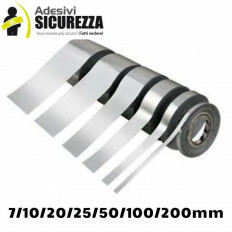 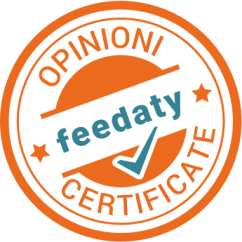 The film is easy to apply, resists to impacts and most common external agents.